"We should be proud of what geoscience has achieved and confident in the contributions we can offer to the future”, Max Brouwers, Shell. Photo credit: Shell. As we consider lower-carbon technologies and new commercial models to carry the industry through the energy transition, where do geoscientists fit in the mix? Will they still have a role and how do they and the industry need to adapt to this new world? In an innovative initiative, the American Association of Petroleum Geoscientists (AAPG) is organising an Energy Transition Forum to discuss these crucial issues, which will be held 5-6 September, 2018, at the Koepelkerk Conference Centre, Renaissance Amsterdam Hotel, Amsterdam, The Netherlands. Max Brouwers, VP Europe, Russia and Caspian for Shell and Chair of the organising committee for the Forum, spoke to GEO ExPro’s Editor, Jane Whaley, to discuss the thinking behind the initiative and explain the ideas and aspirations of the organisers. What do you mean by the phrase ‘the Energy Transition’? The world is changing at an escalating pace and we are increasingly seeing a desire to get to grips with the challenge of how to resolve society’s growing energy needs, the result of a burgeoning population that is simultaneously pursuing a higher quality of life. We have to balance this increasing energy requirement with the need to reduce our carbon emissions. The world is trying to find a way through these issues by diversifying into different types of energy, such as biofuels, hydrogen, solar and wind, but we see that traditional hydrocarbon-based energy sources are still needed and will continue to be for quite some time. It is very uncertain how quickly and easily the interplay between these factors will work; all we know is that the transition to a low carbon energy system will have a tremendous impact on everybody, in every part of the world. Why did you get involved in this forum? "The Forum has taken the innovative step of having a ‘shadow’ organising committee made up of young professionals” Photo credit: Young Explorers UK Field Trip, Shell. The Forum focuses on ‘A New Era for Geoscience’ which is a topic I am very interested in, so I was immediately keen to be involved when approached by the AAPG. I’ve been in the industry for about 22 years and am a geologist myself. I can see that change is coming but I’m not yet sure exactly what it will mean for geoscientists, wherever they are in their career. My experience has mostly been in the traditional geological and geophysical side of the business, but recently I have become involved in digitalisation. I’m intrigued by what that means for us as an industry. The Forum will discuss how this important technological change will come together with the societal change needed to ensure that we reduce carbon emissions. Clarifying the way forward makes sense, so that geoscientists can start to prepare for the transition - and also help lead the change. This is a tremendous opportunity for us to provide a ‘roadmap’ for where we are going to as geoscientists in the energy industry. I think the combination of these topics is really exciting and I hope attendees will feel the same. 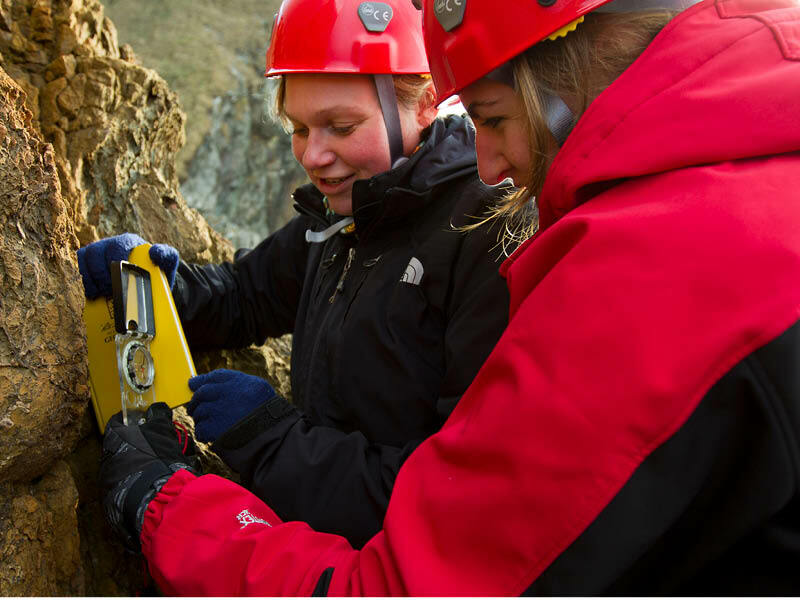 Is this a new era for geoscience? Yes, I believe it is. The energy transition is an industry-wide issue which is impacting its geoscientists, in particular recent entrants to the industry, and those considering it, who may be thinking ‘will I have a career in this industry until I retire?’ What does the interplay of sustainability, digitalisation and societal change mean for the geoscientist of the future? What sort of skills will they need and how will their roles change? That is what we need to address and is one reason why we have taken the innovative step of having a ‘shadow’ organising committee made up of young professionals in the industry. What role can major oil companies like Shell play in the debate? Of course, Shell is very much involved in the energy transition and we want to play a leading role in the process, but at the same time we realise that we cannot do it alone; society as a whole needs to address the entire climate challenge. At Shell our aim is to provide more and cleaner energy. It is a challenge; we believe it is possible, but it will require a lot of action from policymakers to help develop the right kind of framework to move forward. In order to influence those policymakers, a wider societal discussion is needed to establish what we want and how we're going to get there. Is the wider O&G industry engaged fully in this topic? "How do we ensure the relevance of geoscience today and tomorrow? The AAPG Forum highlights the dilemmas presented by this challenge”, Max Brouwers. Photo credit: Shell. I think it is, with different organisations and companies having different views on the speed, direction and the significance of particular choices. I think that is very healthy and we need to bring it out in the forum. If it were easy, we wouldn’t need to have this kind of discussion! We have also invited independent companies such as McKinsey to talk at the conference, to help us get a perspective on how fast these transitions may be happening and how significant energy from oil and gas will be in the coming decades. We are trying to ensure that we have a range of voices and opinions to help us deepen our understanding and be more prepared for these changes. Given the significance and size of the uncertainties, it is important that different perspectives are considered. Also, it is healthy to have a high-quality debate with people who have different views, it will be interesting to see how that evolves in the Forum. People can be educated through hearing different views and perspectives. We must all be ready for this change, so the more you can educate people about it, the better prepared we all will be. I find the leading role we are playing in this to be very energising. Specifically in Shell, our CEO Ben van Beurden has made several clear statements about the energy transition and as a company we are undoubtedly on that journey. Several people on the organising committee – like Lucia van Geuns from The Hague Centre for Strategic Studies and Marit Brommer from the International Geothermal Association – are influencers in their own organisations and beyond who also deal with policymakers. Also on the committee is Professor Iain Stewart from the University of Plymouth, who is an expert in communicating geoscience. Through them I think the Forum should have quite an influential effect, hopefully engaging the wider industry. Who do you expect to attend? Anyone with a background in geoscience should consider attending as this is a fundamental part of our future. We all wrestle with all kinds of ideas but we don’t know which are the most important items to concentrate on, so rather than chatting briefly over coffee in a corner of the office, this is a chance to have the discussion properly and hear a lot of different perspectives from people who are very knowledgeable about certain aspects, and work jointly on possible solutions. It is relevant to all geoscientists, wherever they are in their professional life - and, indeed, those who are thinking about entering the industry. Overall, the energy industry should be much enriched as a result of this event and the ideas it generates. We are also involving companies that are not part of the oil and gas industry or even involved in geoscience, but they are very excited by this idea. I am thinking, for example, of Google and IBM, both of whom are keenly participating in the Forum. Digitalisation has an important role to play in this changing world and, as leaders in these technologies, I think it will be really interesting to bring them into the discussion. It is also a great opportunity for policymakers and we would greatly welcome them, both so they can hear views from the industry and so they can contribute by explaining what they are struggling with and what they need from us. No single company or organisation can do this alone; the challenge must be tackled together. The interplay of many different institutions and industries is a great opportunity for us to find a collective way forward to get us to where we want to be. It is important that decision makers in the oil and gas industry attend. They have to consider how they lead and what development opportunities they need to offer. 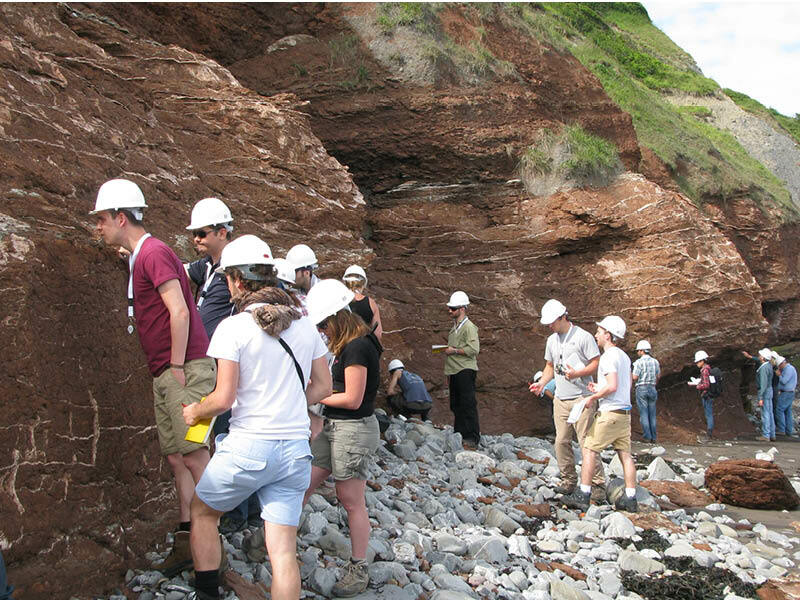 They must also interact with another important group of attendees: the ‘educators’ who provide geoscience education and training, both academic and professional. What do they need to do to ensure that they can provide the future geoscientist with the skills they will need? What would you like to see come out of the Energy Transition Forum? 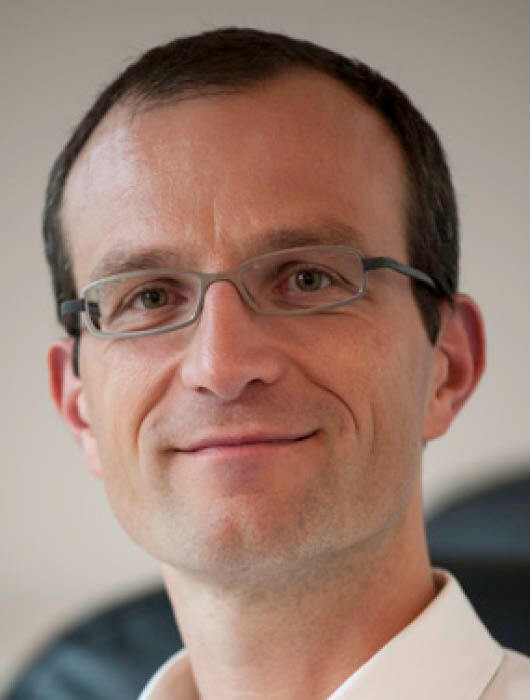 "I would like the Forum to address some of the key dilemmas we face today as geoscientists because there is so much uncertainty about the future as we drive for cleaner energy”, Max Brouwers, Shell. 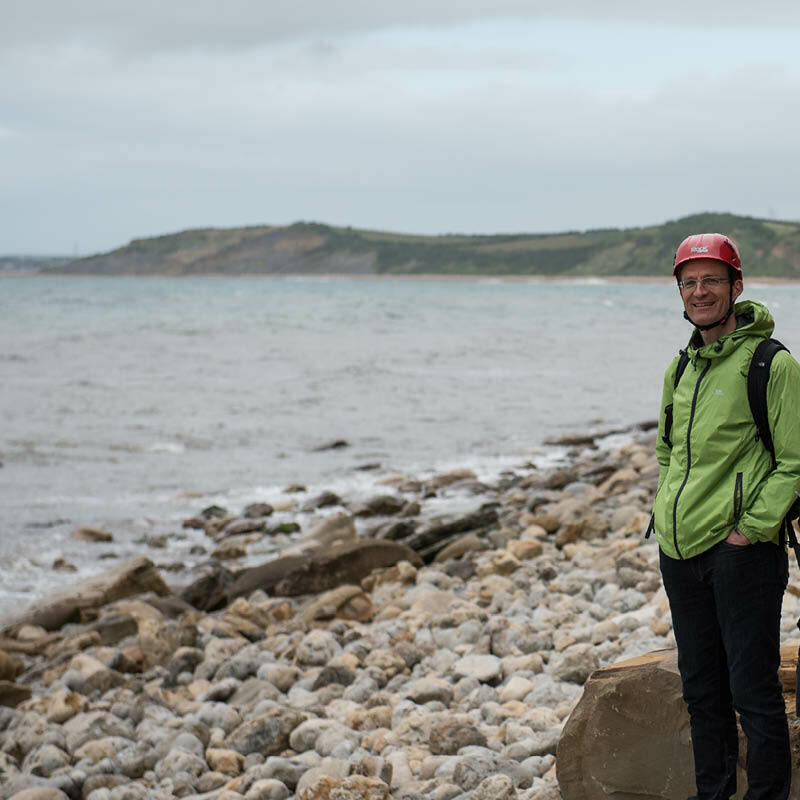 Photo credit: Shell I would like the Forum to address some of the key dilemmas we face today as geoscientists because there is so much uncertainty about the future as we drive for cleaner energy. My aim is that the outcome of the Forum will be to provide answers to these questions while simultaneously generating further debate as to where we, as geoscientists, want this journey to take us. I feel that at the moment this debate is not really happening and there is nowhere for such discussions, so what I really hope is that this will be the start of a more integrated geoscience and industry-wide discussion. We must not be ostriches, with our heads in the sand, waiting for whatever is going to hit us. We can shape and form the future to prepare ourselves for the energy transition; that is what I really hope this forum will deliver. In addition, I would like to see some useful documentation coming out of this. We want to compile the inputs and insights into a ‘roadmap’ of how we see the future, with guidance for different groups and organisations explaining how geoscientists can position themselves for the energy transition. We want to capture the discussions, including those in the various break-out groups, to produce a relevant and interesting document that people can use in the wider arena. Because a number of non-oil industry groups are involved in the conference organisation, such as the International Geothermal Association and Google, there will be different avenues to enable us to disseminate the discussions and conclusions beyond the oil industry. For participants, the simple fact of being there, hearing different views on what sustainability might mean for geoscientists and their skillsets and participating in discussions on developing the wider picture of the collective future – all that is very important. Attendees will have more confidence in the way forward and look with pride at the direction in which we are going. I believe this is a really exciting industry; one which works globally, employing the latest technologies and diverse skills, to provide the world with the sustainable energy it desperately needs. We should be proud of what geoscience has achieved and confident in the contributions we can offer to the future. Even a seriously mature province like the North Sea can bring surprises. The Catcher discovery, made in June this year, is proof that impressive new hydrocarbon accumulations can still be found there, 45 years after the first discovery was made. Many of the most exciting discoveries in the last decade have been in Africa – and technological developments have been key to a good number of them.